Baraka Supplies is offering members a discount of 10% off their Shea Butter from Ghana, and other products. Located in Calgary, Windy Point Soap Making Supplies is offering members 5% off their large selection of supplies; they also offer free shipping on orders over $125. 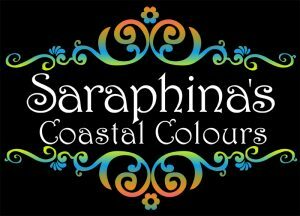 Saraphina’s Coastal Colours gives members 10% off their wide variety of colourants. Pierre-Marie offers members 10% off their micas, neons, oxides, and ultramarines pigments (with more to offer as they grow). Soap & More offers members 5% off all orders. Located in Calgary, they offer a wide variety of supplies for everything you make. Plant’s Power offers HBBG members 10% off their Essential Oils, Carrier Oils, Hydrosols, and other supplies. Les Ames Fleurs is offering members 10% off all their products, including carrier oils, essential oils, packaging, and more. Bath Bomb Machine are pleased to offer Handcrafted Bath & Body Guild Members free shipping when ordering one of our B-3 Bomber Bath Bomb Machines! 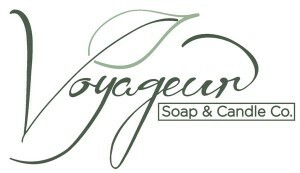 Voyageur Soap & Candle Co is offering members an extra 5% discount, in addition to their 5% Customer Reward Discount giving Guild members a total 10% discount off each order placed with them. New Directions Aromatics is offering members an extra 5% off all orders, which is in addition to their 3% discount for online orders, and 2% discount for orders over $500, making your total discount on each order between 8% and 10%. Located in Toronto, Elska Natures offers a wide variety of skin care ingredients, plus a 5% discount for HBBG members, and free shipping on Canada orders over $100. Modern Soapmaking offers members 15% off their Online Workshops, Ebooks, and More. Suds ‘N Scents offers a wide variety of supplies plus classes in their Abbotsford, BC location. Coop Coco sells a wide variety of raw materials, located in Quebec. The Bath Bomb Press offers free shipping to Canada.